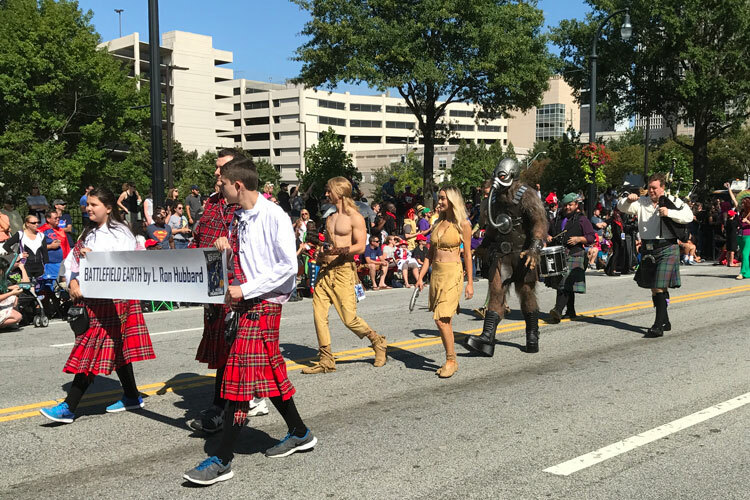 Another great day at the Atlanta Dragon Con! 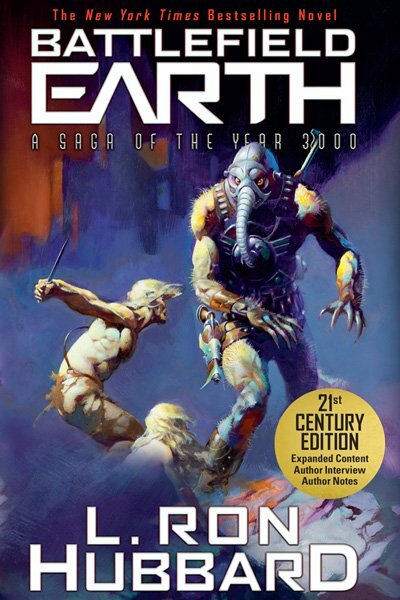 Once the parade was over, the exhibit hall became the focus of attention with science fiction and fantasy readers making their way to our booth to get their copies of Battlefield Earth, Writers of the Future and Stories from the Golden Age. 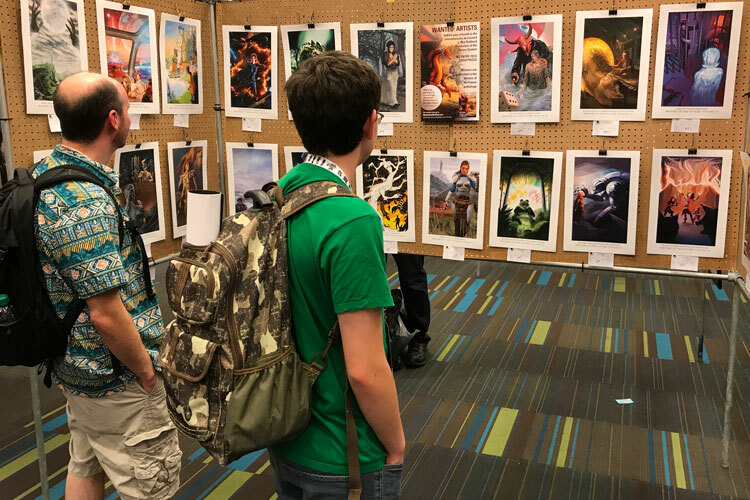 The Illustrators of the Future display at the art show had a table where people could find out more about the Contest and how to enter. There was a bay devoted to the art from the illustrator winners featured in L. Ron Hubbard Presents Writers of the Future Volumes 32 and 33. 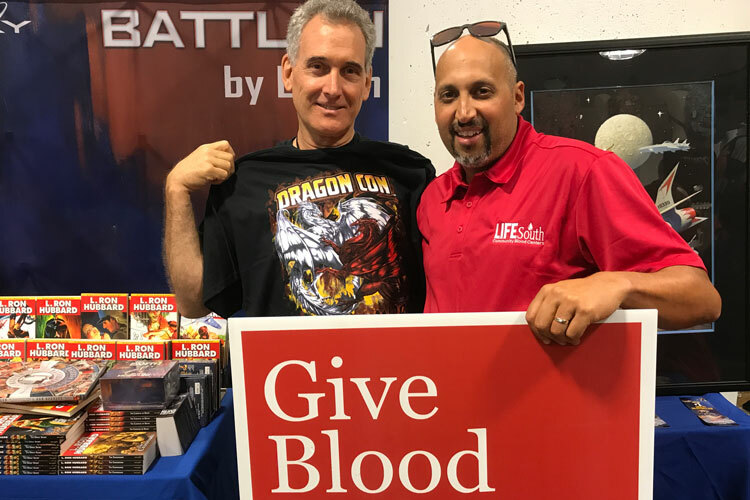 Later in the day, Galen Unold who is the in charge of the Heinlein Blood Drive came by to thank us for the incredible donation of Battlefield Earth first edition books. But more on this in tomorrow’s post. Check back for Day 3 with more on the Blood Drive. Okay! I definitely coming next year! You guys are having way too much fun! Besides I’ve gotta meet my favorite characters! Looking forward to seeing more pics! Take care! Thanks, Mike! Wherever Terl goes he makes a BIG impression, that’s for sure.